When his father died when he was only three months old, Charles-Camille Saint-Saëns was raised by his mother in Paris and continued to live with her until her death. He became one of the world’s most famous composers in his day, and he was a homosexual possessed of a complicated private life, which often revealed his dark side. Saint-Saëns was a child prodigy (on the level of Mozart), and made his debut as a concert pianist in 1846, before his eleventh birthday. As an encore, Saint-Saëns offered to play any of Beethoven's 32 piano sonatas from memory. Word of this incredible experience spread across Europe and as far as the United States, where it was mentioned in an article in a Boston newspaper. Having all 32 of Beethoven’s sonatas in ones fingers, ready for concert performance, was an unheard-of feat (then as now), all the more astonishing when offered by a ten year old. 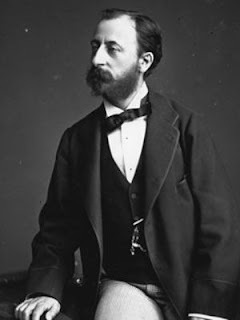 By the age of 13, Saint-Saëns was attending the Paris Conservatory. He soon gained recognition among his peers as an organ virtuoso, eventually attaining the highly coveted position of chief organist at the Madeleine Church in Paris, a post he held from 1858, at the age of 23, until he was 42 years old. His weekly organ improvisations captured the attention of all Paris. As a composer, he was highly versatile, writing operas, symphonies, concertos, much chamber music, masses and other choral works, songs and solo literature for organ and piano. His opera Samson et Dalila still ranks among the standard repertoire of opera houses all over the world. His music was wildly popular during his lifetime, and he was well-connected with other composers, particularly Hector Berlioz and Franz Liszt. Gabriel Fauré, who was Saint-Saëns's favorite pupil, soon became his closest friend. His now popular Le Carnaval des animaux (The Carnival of the Animals, 1886), for two pianos and orchestra, was intended as a private entertainment for friends, and Saint-Saëns forbade its public performance during his lifetime. 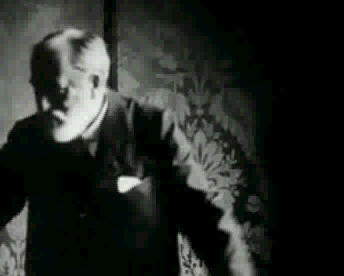 The part of the narrator, now frequently included during performance, was added by others after his death. It is a little-known fact that Saint-Saëns had the distinction of being the first noted composer to write a musical score for a motion picture, The Assassination of the Duke of Guise (L'assassinat du duc de Guise, 1908), featuring actors of the Comédie Française in Paris. Once called a second Mozart, Saint-Saëns soon made many enemies, who were envious of his stellar success and disdainful of his biting sarcasm. Later in life he was declared to be a “composer of bad music well written.” In old age he came to be mocked for his rabid conservatism, his dislike of modern music, the campaigns he mounted against French composers Claude Debussy and Cesar Franck, his shocked disapproval of Stravinsky's Rite of Spring (allegedly infuriated over what he considered the misuse of the bassoon in the ballet's opening bars) and his insistence, during World War I, that all German music be suppressed. He was never shy with opinion. Saint-Saëns was a true polymath. In addition to conquering the world of music as composer, conductor, critic, teacher and concert organist and pianist, he excelled in the fields of geology, archaeology, botany, mathematics and lepidoptery. He held discussions with Europe's finest scientists and wrote scholarly articles on acoustics, occult sciences, ancient theatre decoration, and early musical instruments. Saint-Saëns wrote a philosophical work that spoke of science and art replacing religion, and his pessimistic and atheistic ideas foreshadowed Existentialism. Other literary achievements included poetry and a successful farcical play. He was also a member of the Astronomical Society of France, giving lectures on mirages; he had a telescope made to his own specifications and planned concerts to correspond to astronomical events, such as solar eclipses. The private life of Camille Saint-Saëns was filled with turmoil. He was homosexual but realized how much marrying would bolster his reputation. Understandably, he showed little outward sign of wanting to marry. However in 1875, at the age of almost 40, he began an affair with nineteen year old Marie-Laure Truffot, which led to marriage. 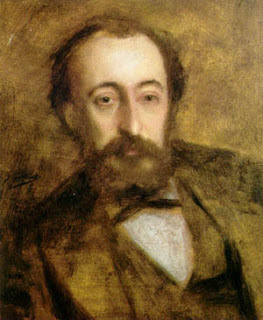 Immediately after their wedding, Saint-Saëns declared that he was too busy for a honeymoon and took Marie straight home to live with his mother. Thereafter the composer treated his wife with deep disdain, until the arrival of children brought out a more sympathetic side. But tragedy intervened when both children died within six weeks of each other in 1878. André, aged two, fell from a fourth floor window, and soon afterward his baby brother Jean became ill and died. Saint-Saëns blamed Marie for the children's deaths, and a short time later he walked out on her in the middle of a holiday trip. Though there was no divorce, Marie never saw him again. Saint-Saëns was solitary and secretive, prone to disappearing for weeks at a time. He could also be a remarkable host, often entertaining friends lavishly at his Paris home, where his performances in drag were well-known among his circle, particularly his impersonation of Marguerite, the female soprano lead in Charles Gounod's opera Faust. He is reputed to have danced in ballerina tutus for the entertainment of fellow gay composer, Tchaikovsky. After abandoning his wife, Saint-Saëns traveled extensively. He began spending winters in French-speaking Algeria, which became a favored holiday spot for European homosexuals who enjoyed the adolescent male companionship easily available there. He was quoted as saying, "I am not a homosexual, I am a pederast." Saint-Saëns died of pneumonia in Algiers, at the age of 86, on December 16, 1921. Have a listen to his hugely popular orchestral work, Danse Macabre. I’m sure you’ll recognize it. Trivia: Pianist Franz Liszt made an astonishing piano solo transcription of this piece. I have always enjoyed playing the Saint Saenz Piano concerto in G minor, a tricky piece. Could it be that my piano teacher gave it to me as a teenager because she already knew something? I like his music. It alway has a nice "hook" to it and is very dance-like. He has been an inspiration to me in the music that I compose as well. I've always enjoyed Saint-Saens -but I know all the piano concerti as well as the violin and cello concerti but not the symphonies. I don't think his music really has a dark side even compared o Liszt and Cesar Franck. He obviously liked pretty melodies and lightness.Even the morbidity in some of his best works seeks to entertain.Dark in french music of late 19 century would be the extreme Chopin and Alkan .I think darkness had to wait until Debussy,Ravel and Messiaen and Boulez -then again its a relaitve term! Saint-Saens? Charm and brilliance, but little or no real depth. The 32 Beethoven sonatas ready at age ten? Preposterous! I would love to have been in audience. At any rate, from this report his life serves as further proof that St. Paul writing to the Corinthians on Charity was right. No matter how smart, how accomplished, how prodigious, how famous, how rich a person might become his life doesn't add up to much if he is incapable of loving unselfishly and unstintingly. Saint-Saens deserves to be in the pantheon, I suppose, but in one of the lower niches off in a side corridor. I'm so happy i discovered this blog. So many inspiring posts here. Great work, Terry!